Its combination of sealing stress and simultaneous recovery makes GYLON BIO-ECO® the ideal solution for couplings in accordance with DIN 11851 and SMS 1149. 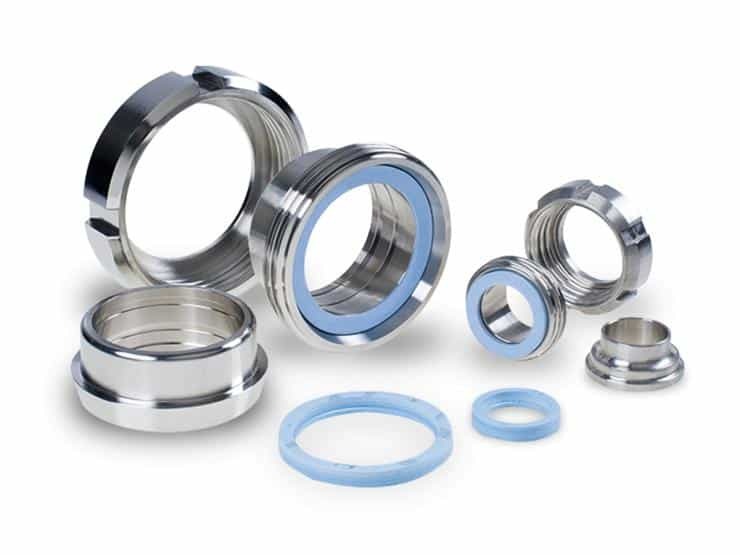 All of the disadvantages associated with current elastomeric seals regarding temperature, chemical resistance, and re-usability are eliminated by the modified PTFE material. GYLON BIO-ECO® seals are available in all common sizes and dimensions, either without an inner collar (M1) or with an inner collar (M2).